Scribe Chinese is only for you if you want to learn Chinese to perfection. If you want to build up a HUGE vocabulary of Chinese words in the shortest time. Scribe Chinese covers the complete Hanyu Shuiping Kaoshi (HSK) exam words. Complete with native speaker's pronunciation. And shortcut methods for remembering similar-sounding words, as well as the tones for each word. 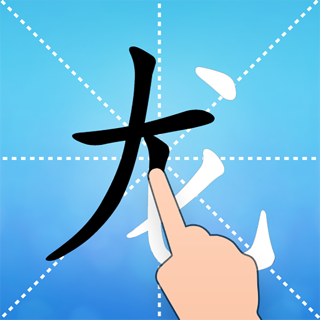 Scribe Chinese has been intentionally designed to teach mastery of Chinese vocabulary - you learn EVERY common Chinese word. Using a unique study method, words are remembered with related-sounding words, so that in real-life situations you are able to contextually select the correct word, even if you missed the tone. Study Chinese this way, and your mind's ability to select the correct word in context increases 10 fold. Just think about it: for every similar sound, you will know the 4 or 5 possible popular words it could be. Scribe Chinese quietly saturates your mind with all the correct linkages to learn Chinese to a better-than-native level. 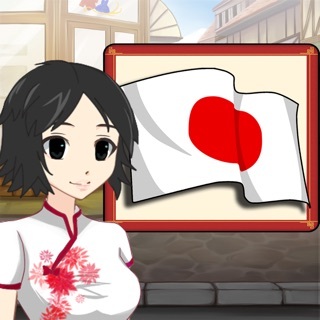 This is the fastest known method to the learn mandarin Chinese language, by focusing on learning through Chinese games. Scribe: Chinese also includes numerous games using the same study deck, so no matter what game you play, your study picks up where you left off. You can study Chinese YOUR way. And your dreams of China, Taiwan, Hong Kong and Macau can come closer. ScribeChinese has been tried and tested by numerous users, who say the Scribe Origins method of study is faster than any other method for attaining a massive Putonghua vocabulary. Regardless of your preferred dialect, Putonghua, Guoyu, Huayu.. ScribeChinese is the way to learn. 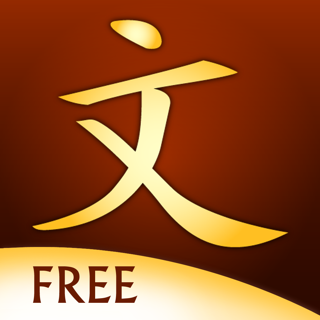 - 5000 of the most common words, including HSK exam test words. - Full native audio spoken for every single word. Speak Chinese within weeks, instead of years, with a daily commitment to study Chinese words. 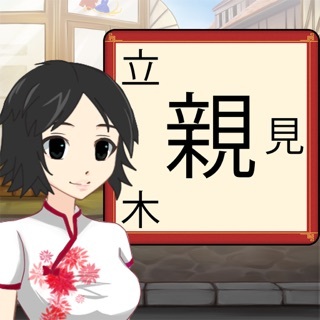 - 6 Chinese games: Chinese flashcards, Chinese multiple choice, Chinese tiles, listening flashcards, listening multiple choice, matchup. - Chinese Pinyin tone markers + colors. 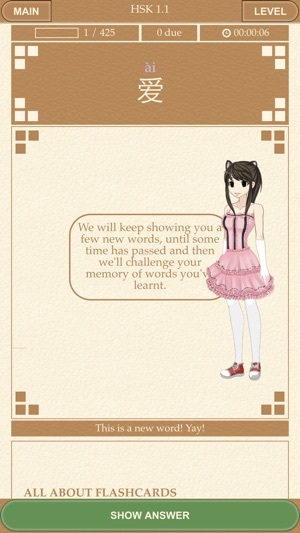 - Spaced-Repetition System that.. is simply incredible. When you get down into the deeper levels with thousands of words to remember, you'll be amazed at how accurately the right word comes along. - Study Chinese completely offline - no internet bandwidth used. Learn and study Chinese anywhere - on the train, bus, on the way to work, sitting waiting, in coffee shops, on bed before dreaming Chinese in your sleep. - Your choice of colored or numbered pinyin, along with the native hanzi reading (for help with remembering the hanzi, you can use our hanzi app: Scribe Origins). 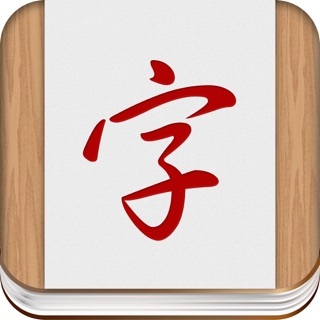 - Ruby text places the reading above the hanzi character, just like in manga and anime readings (and quietly helps you learn Chinese). 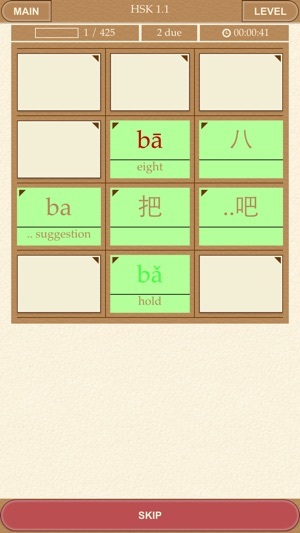 - Synchronise your progress across devices, if you want to learn Chinese on your iPhone and iPad. 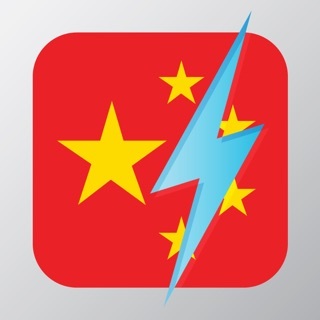 Both apps will be synced to the ScribeChinese app. - Example usage sentences and common Chinese phrases for the most popular Mandarin Chinese words. 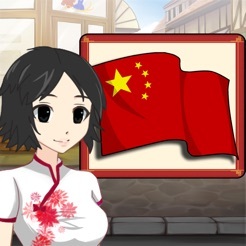 - Most users who have gone through the entire first level unequivocally say that Scribe Chinese is currently the fastest way to learn Mandarin Chinese language, both listening and reading skills. Fixed some issues with sounds in lists: Frequent 2.2 and 3.2 (thanks MT). Please fix the widespread occurrence of traditional characters within sentence examples (even though the app is set to simplified characters). Thank you! I love this app!! It has a ton of fun games that really help you learn each and every character. I've just begun and already I know at least forty different characters and it's only day 2. I'm having fun with this app. 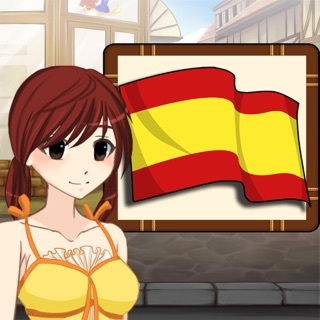 Also the different games allow you to learn from just the audio pronunciation, the written character or the romanized written version. 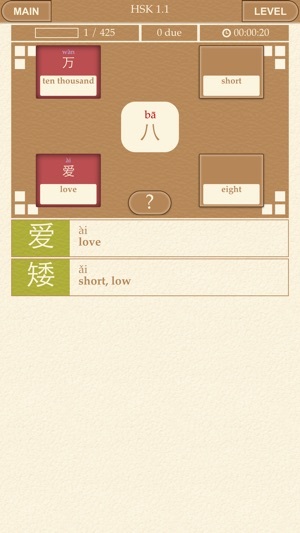 Very happy with this app, it's a must get for anyone seriously looking to learn Chinese. Thank you so much! Keep up the good work. If there is a way to remove those the game would be more fair. 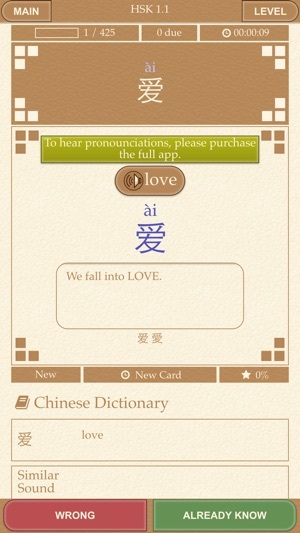 Like 工 and 公 different meanings same sound.